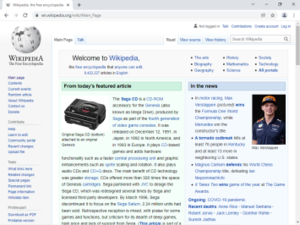 This is a cache of https://en.wikipedia.org/wiki/Google_Chrome. It is a snapshot of the page at 2019-03-24T02:24:02.105+0000. ^ "Stable Channel Update for Desktop". Chrome Releases. Blogger. March 20, 2019. Retrieved March 21, 2019. ^ "Chrome for Android Update". 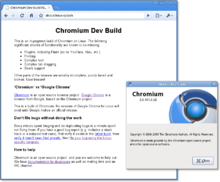 Chrome Releases blog. Blogger. March 12, 2019. Retrieved March 12, 2019. ^ "Beta Channel Update for Desktop". google Blogspot. March 22, 2019. Retrieved March 22, 2019. 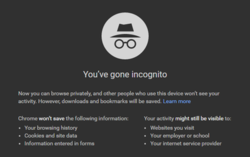 ^ "Chrome Beta for Android Update". google Blogspot. March 21, 2019. Retrieved March 22, 2019. ^ "Dev Channel Update for Desktop". google Blogspot. March 22, 2019. Retrieved March 22, 2019.